Loss of data due to a damaged device, lost password, or lack of system backups can be devastating. The Carolina Computer Forensics Group can help recover data you thought otherwise lost or destroyed. Information is stored on a wide range of devices, pretty much any modern electronic device now stores some form of data. Recovery of this data can be as simple as plugging the device into a computer or as complex as destruction of the exterior to extract the information. We can help determine what is required to retrieve the data and the level of effort required. The Carolina Computer Forensics Group can also help determine the steps required to keep any residual data from becoming lost or corrupt as well as the resources to retrieve the data in a legal and court admissible manner. Data recovery involves the use of tools and knowledge not normally accessible to most people. The Carolina Computer Forensics Group owns multiple software assets and has extensive experience in the recovery of data that would otherwise be inaccessible. On what kinds of devices can successful recovery occur? Skilled digital forensic analysts (and hackers) have figured out how to recover data from most devices but there are no guarantees. 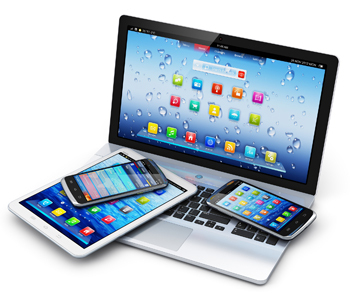 Most commonly our clients request data recovered from phones, tablets, laptop computers, and desktop computers including Android, Apple, and Microsoft based devices. What can be done to preserve the data?